Ranchi: Around 600 resident doctors at the Rajendra Institute of Medical Sciences (RIMS), Ranchi were seem wearing black badges at work and around 50 doctors staged a protest in front of the director DK Singh’s office demanding implementation of seventh pay Commission and other pending demands. The protest, however, did not cause any hardship for the patients as the doctors remained on duty during the protest. The protesting doctors handed over the memorandum to the director, demanding completion of a new girl’s hostel in the premises and deployment of adequate security guards in the campus. On June 3, 2018, Health Minister Ramchandra Chandravanshi and Chief Secretary Sudhir Tripathi assured that the seventh pay commission will be implemented soon, but the state government has not taken initiatives to implement the commission’s recommendations. This issue was also raised at the 45th annual governing body meeting of RIMS on July 12, 2018. Around 150 interns at RIMS were also on protest to demand for the stipend at par with the All India Institute of Medical Sciences (AIIMS). A doctor informed daily pioneer, that presently, resident doctors at RIMS get a monthly salary of around Rs 57,000 as per the sixth pay commission. 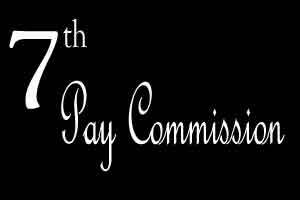 The implementation of the seventh pay commission will increase their monthly salary by Rs.12000.